Aqualis Offshore has been handed the position keeping role for installation of the Egina FPSO offshore Nigeria. EPCIC contractor for the FPSO, Samsung Heavy Industries (SHI), has awarded the position keeping work to Aqualis Offshore. 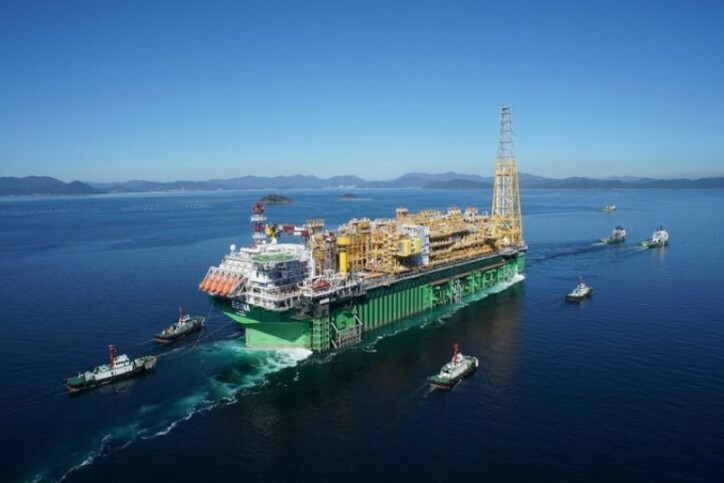 The newbuild Egina FPSO was towed from South Korea and arrived in Nigeria in late January for final integration of topside modules built in Lagos. “Having last year successfully managed the position keeping roles for the Icthys Venturer FPSO and Ichthys Explorer central processing facility, we are no stranger to installing large offshore structures. We look forward to supporting SHI and Total with the Egina FPSO, which is a challenging deepwater field development,” says Phil Lenox, Director – Asia Pacific. Total is the operator of the Egina field, which is located some 130 kilometres off the coast of Nigeria at water depths of more than 1,500 metres. The FPSO measures approximately 330m in length and is expected to have an oil storage capacity of approximately 2.3 million barrels of oil.